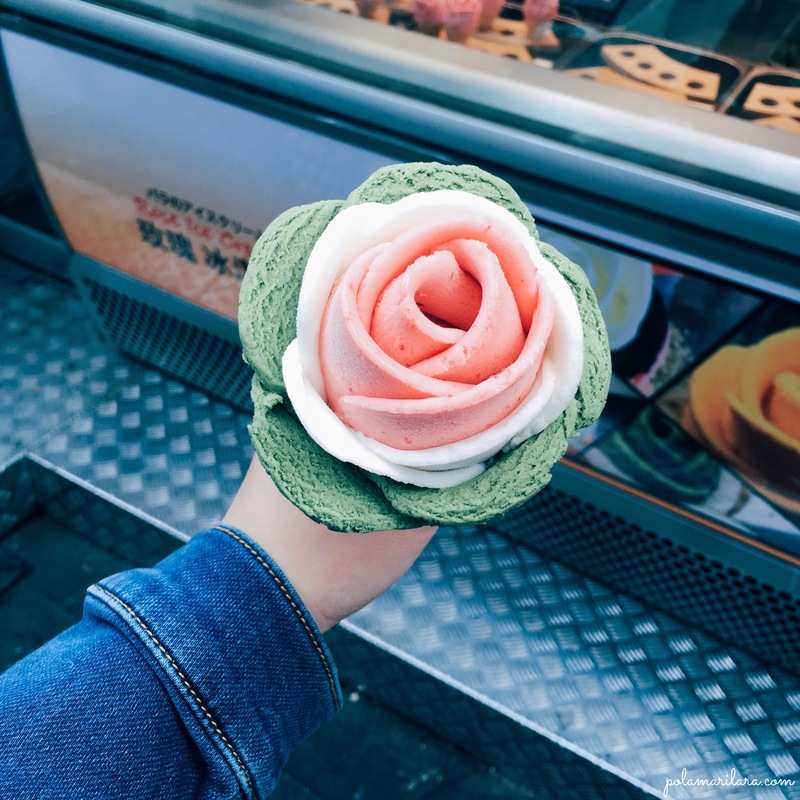 Popular for its rose shaped ice cream, this shop never runs out of customers. 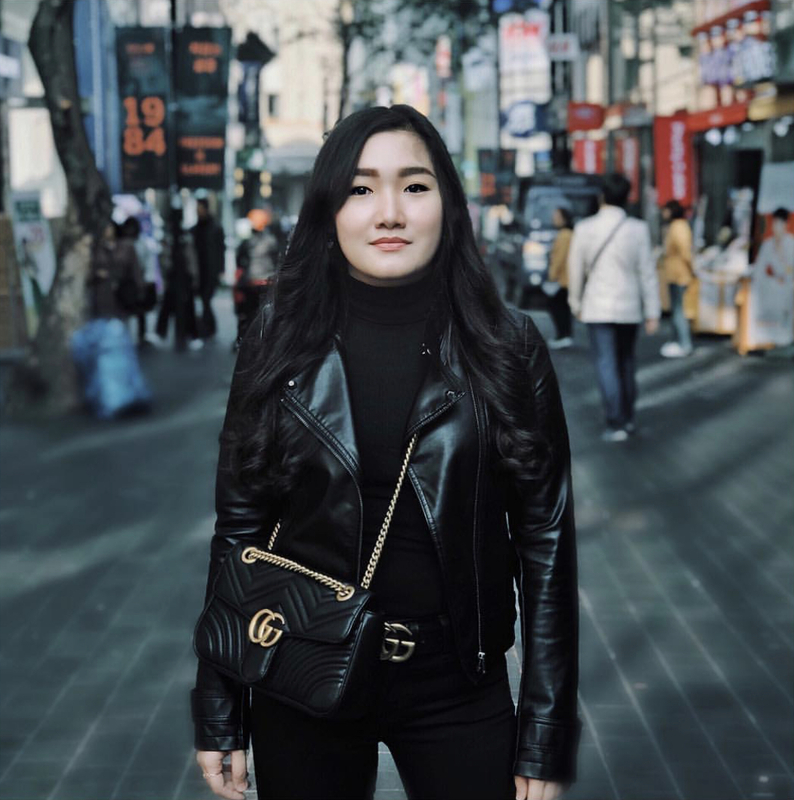 I tried one in Myeong-dong which is located below the restaurant we ate lunch at, very easy to find once you stroll around the area. You can choose 2 or 3 flavors for the ice cream. 3 flavored costs KRW 6,000. 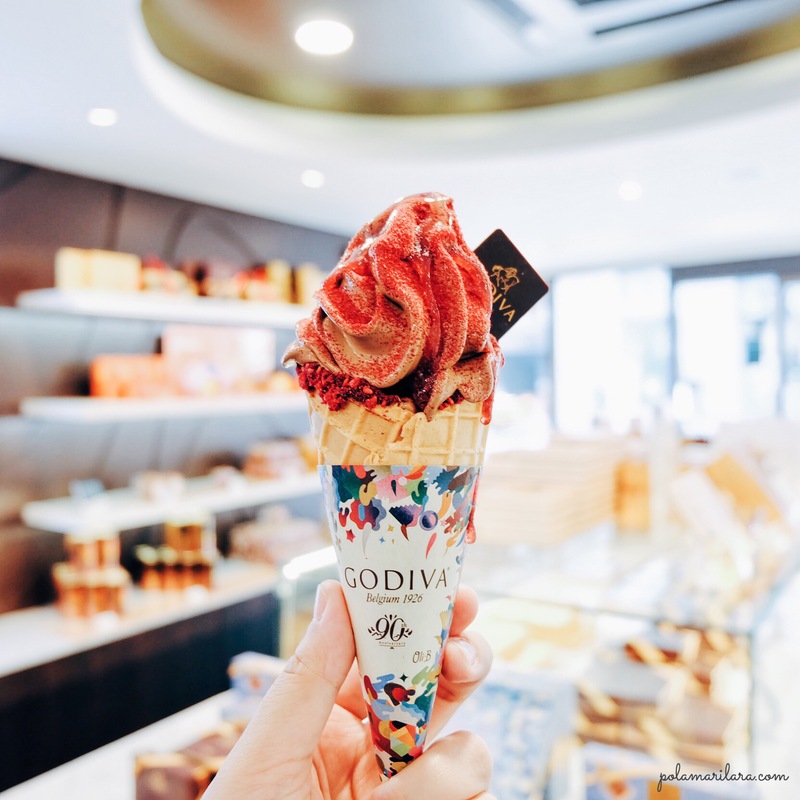 This ice cream costs KRW 4,900. 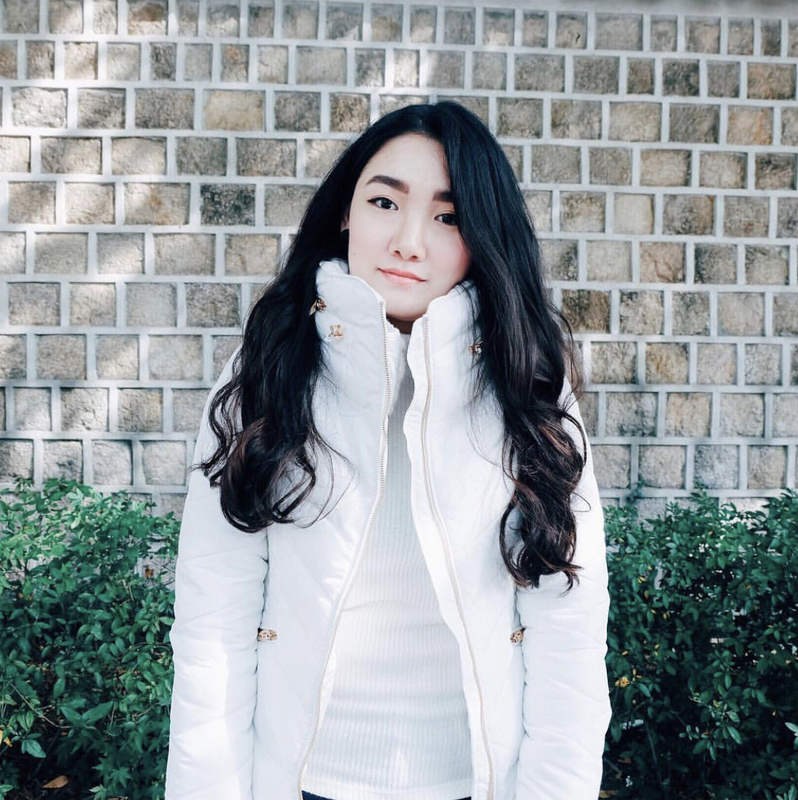 Visit Line Cafe in Sinsa-dong. 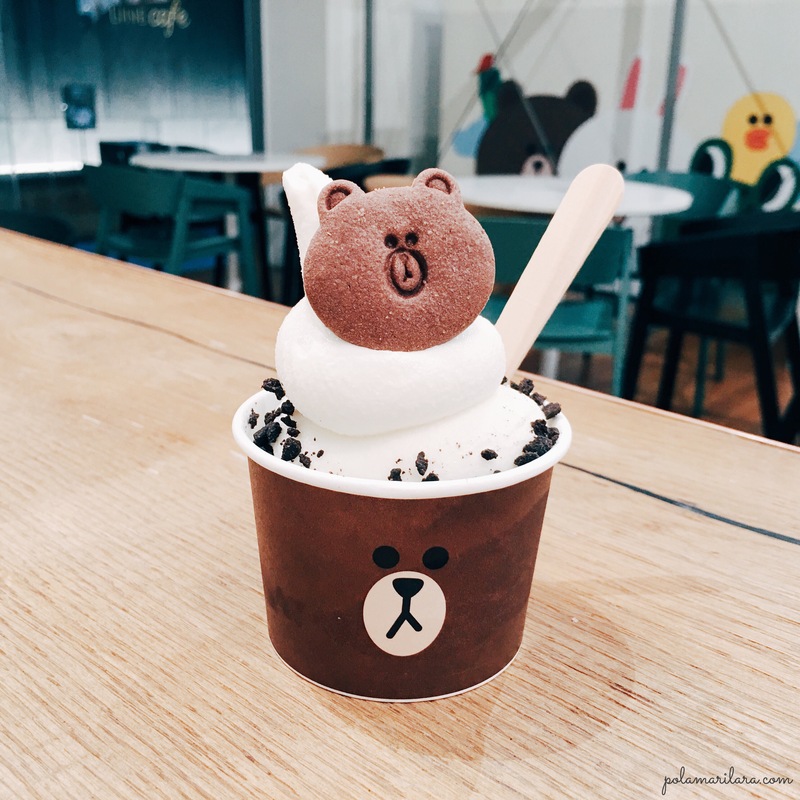 They also have Cony (bunny) version for their ice cream. This costs KRW 3,800. 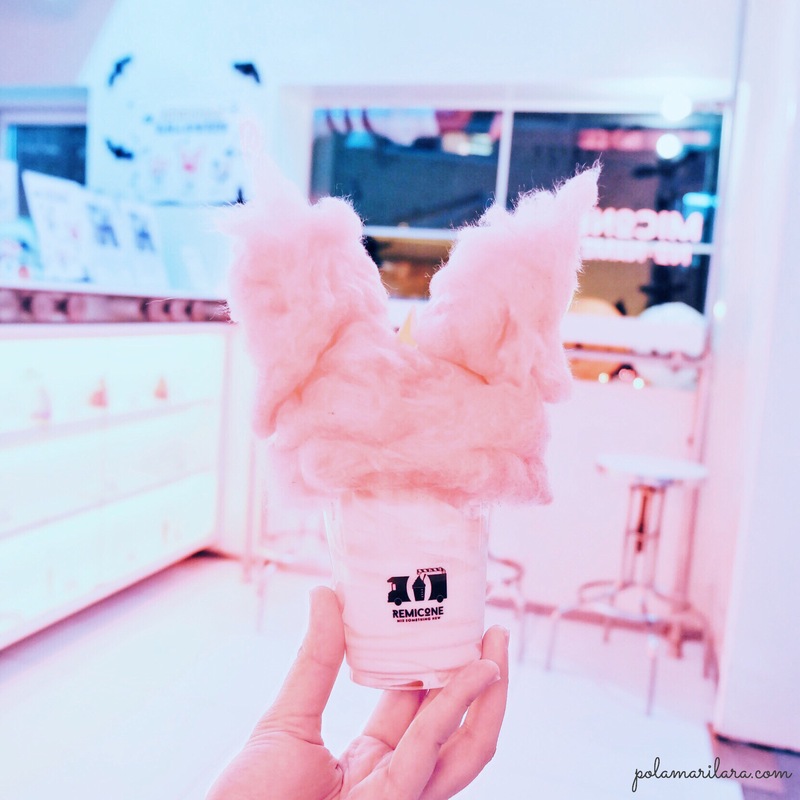 We’ve been all familiar with fancy and pastel colored cotton candy on ice cream. Well, Remicone serves the opposite, bringing rocker vibe on your cup! Perfect for big eaters. 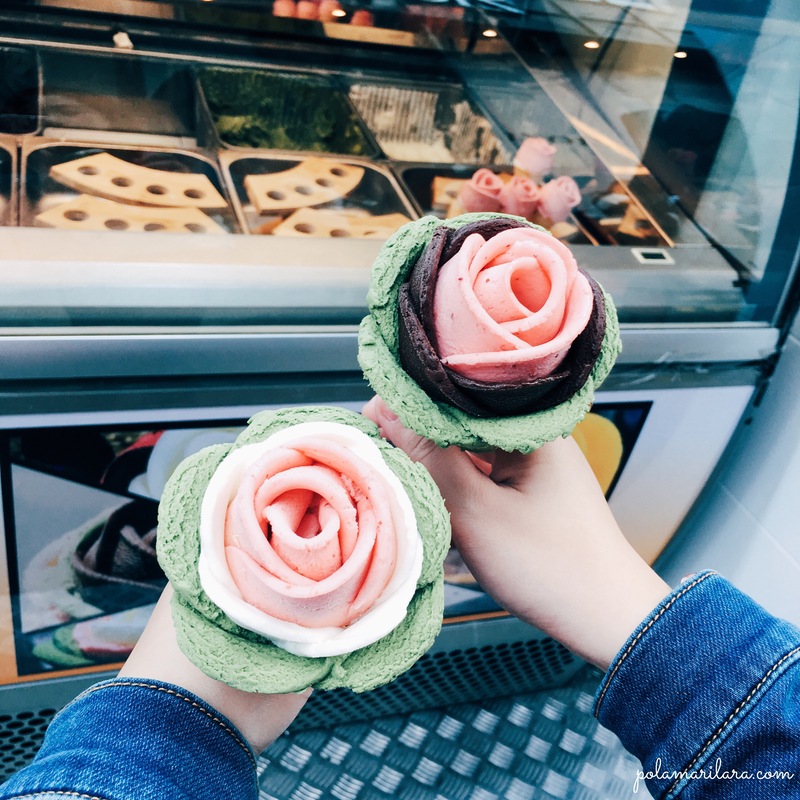 I ate one from Myeong-dong as I got curious that despite the cold weather, customer line was long (and it never runs out everytime I pass by it). 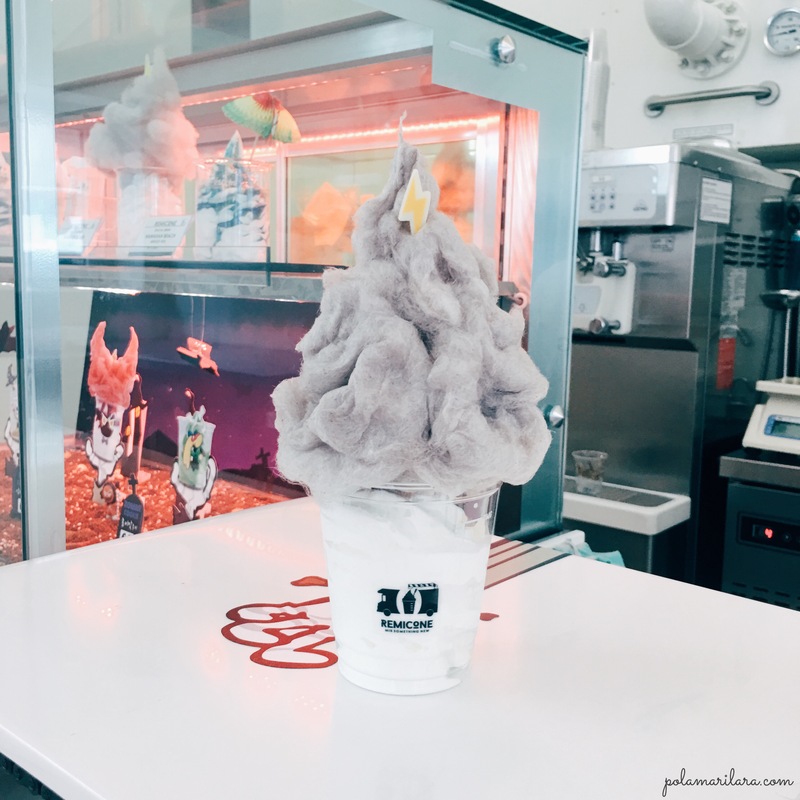 They have different flavors mixed with vanilla ice cream sold for about KRW 2,000 – KRW 2,500. 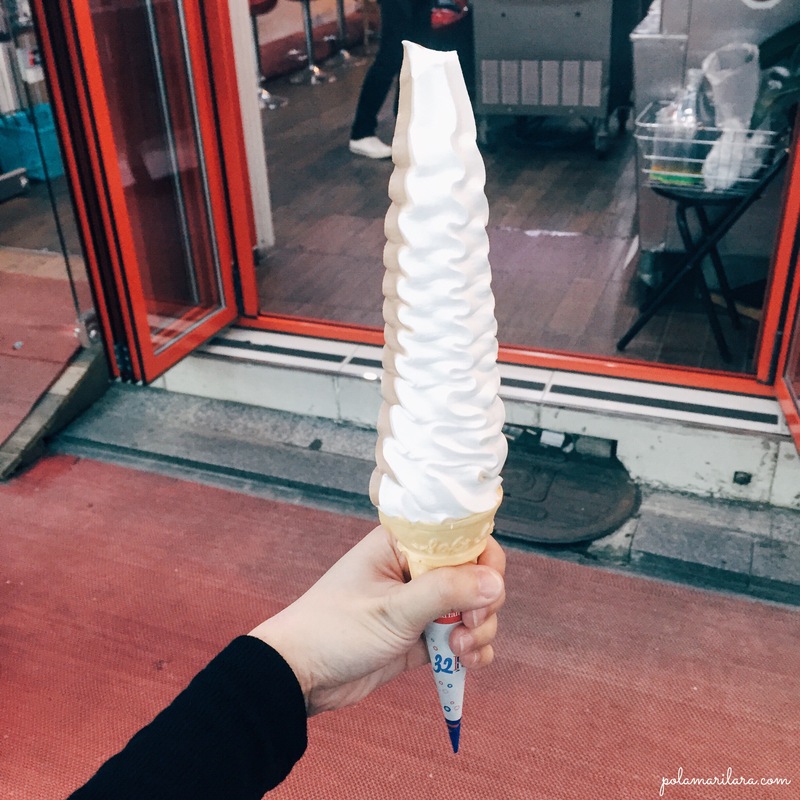 Tired of typical ice cream cones? Try ones with waffle. You can buy one along Myeong-dong. The stalls start their business in the afternoon where different street foods are sold. 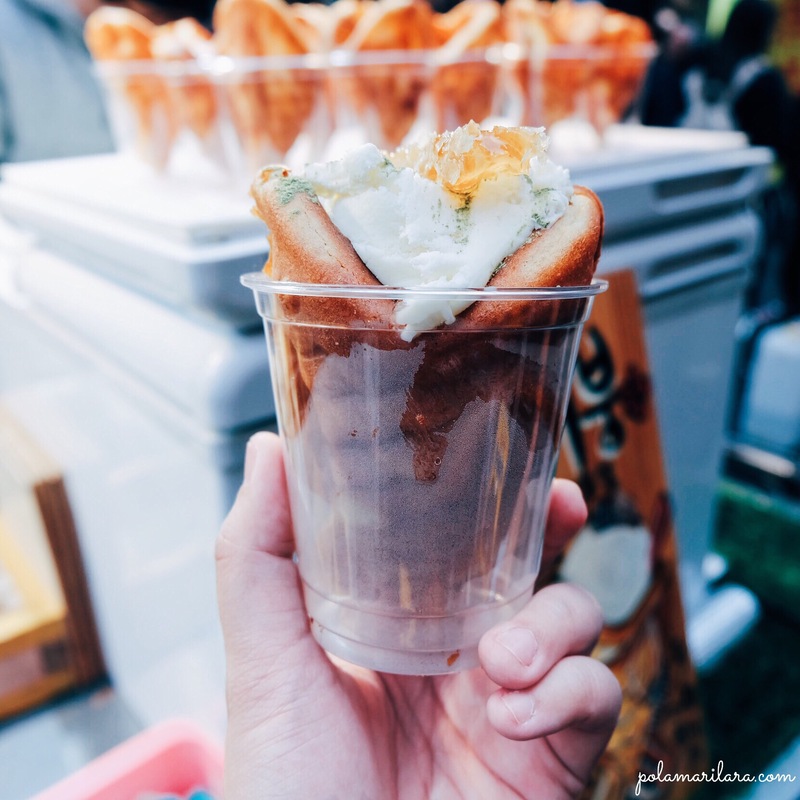 I tried one with fish shaped waffle and honeycomb which costs KRW 4,000. Yum! Located in front of Lotte World entrance, this ice cream kiosk sells cute ice cream bars. 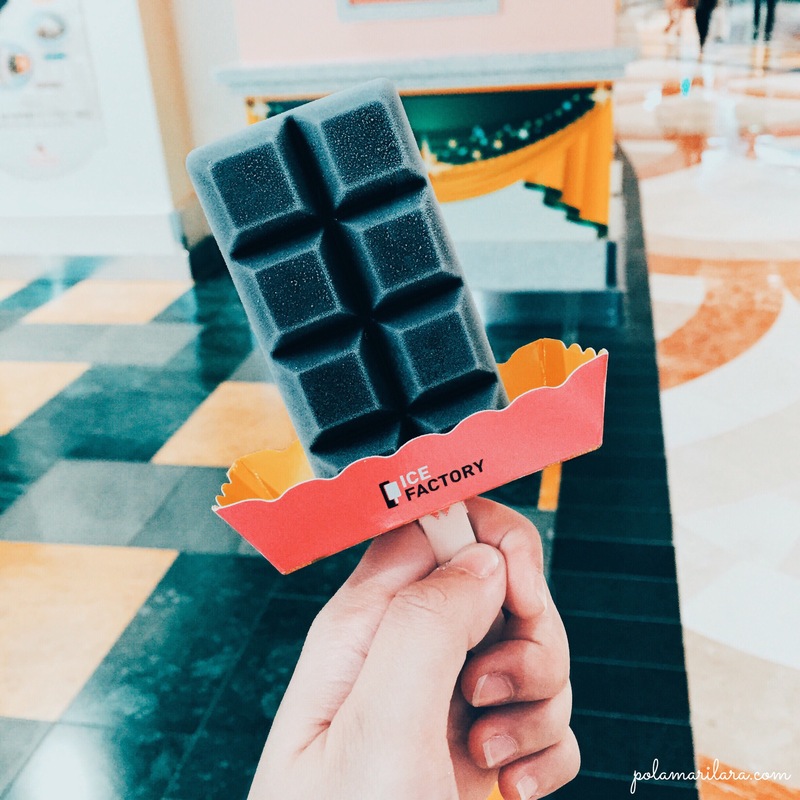 This Crunch Chocolate ice cream bar costs KRW 4,000. Save the best for last. 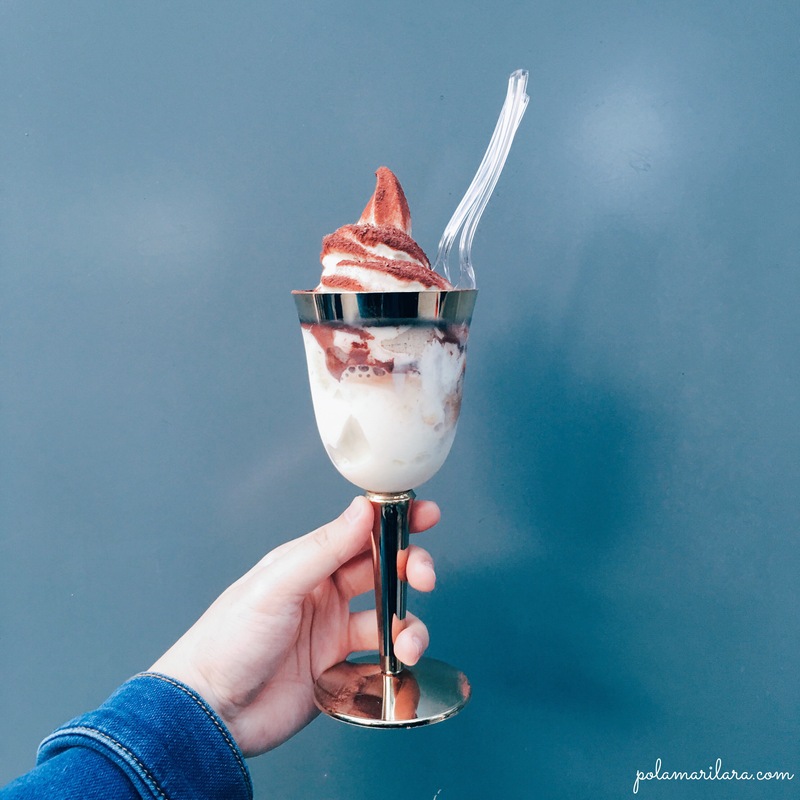 This premium chocolate brand is now in an ice cream! The ultimate solution for that time of the day when you crave chocolate so bad. This Double Chocolate Raspberry and Rose ice cream is so good you won’t be satisfied with just one ♡. It costs KRW 6,300.